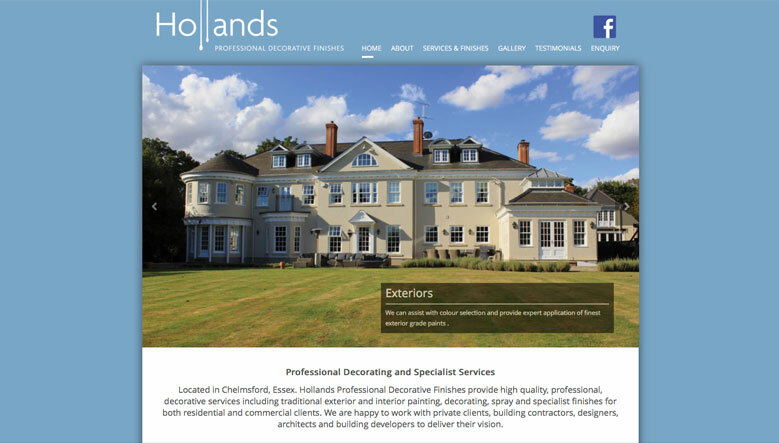 Hollands Professional Decorative Finishes provide high quality, professional, decorative services including traditional exterior and interior painting, decorating, spray and specialist finishes for both residential and commercial clients. Renowned for quality, Hollands work closely with private clients, building contractors, designers, architects and building developers to deliver their vision. Portfolio based website designed to showcase the companies recent work and the specialist decorative services they have available.